More than half the money the government earmarked to safeguard state secrets last year went for information security, with nearly 90 percent of that was spent to protect IT systems against unauthorized access to or modification of information and the denial of service to authorized users, according to a report issued Friday by the Information Security Oversight Office. 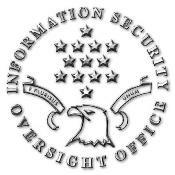 Part of the National Archives and Records Administration, the Information Security Oversight Office receives policy and program guidance from the National Security Council and is responsible to the president for policy and oversight of the governmentwide security classification system. New spending on personnel, security management and classification management nudged expenditures upward for the classified information system by 1.3 percent. In its report, the office said that the government spent more than $8.8 billion on security classification and declassification costs in fiscal 2009, including nearly $4.8 billion on information security. Visit Govinfosecurity.com for more information.